TCM scores knockouts in graphic design for magazines, newsletters, conference materials, sales collateral, print media advertisements and more. Tidekeeper Times newsletter, Best in Category, Printing and Graphics Association of the Mid-Atlantic. 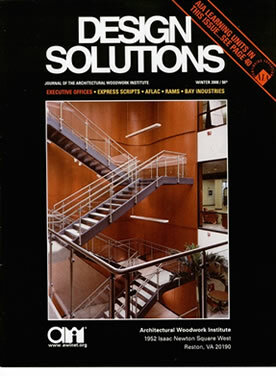 The Architectural Woodwork association's magazine, Design Solutions, that won an ASAE Gold Circle Award of Merit. Virginia Association of Realtors' Commonwealth magazine that was awarded the Best in Virginia award four years in a row.